Fabric (Topper): * Please selectCotton FabricsKnit FabricsFrench Terry Knit FabricsPerformance Pique & Athletic Wicking FabricsVintage FabricsHand-Dyed Fabrics, +$0.50Maker's Choice...Surprise me! Visit my "Fabrics Gallery" page to find your desired fabric number. If you chose Maker's Choice, give me a hint of favorite color or theme! USA customers only, tick here if you want faster and insured shipping. Only tick this ONE time per order, as I can fit many pads in the flat rate envelope. 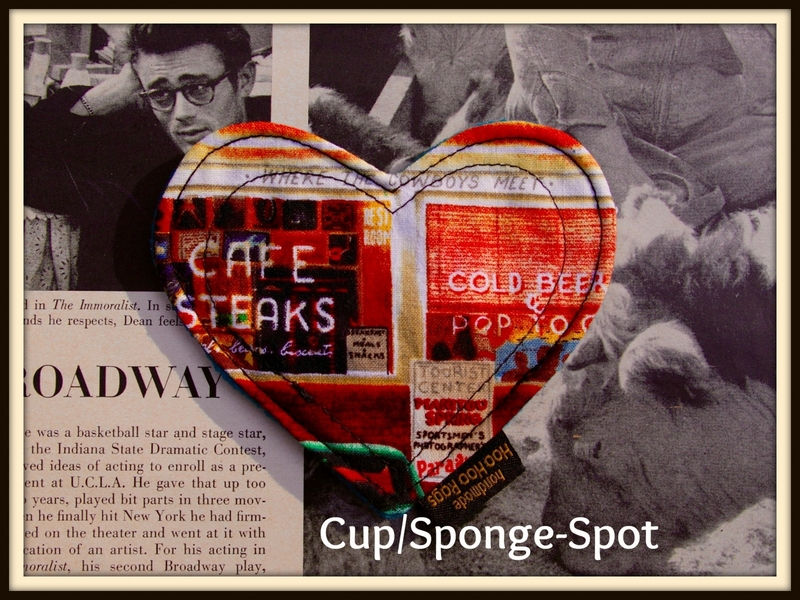 My Cup/Sponge-Spots are in the shape of a heart. They are intended to use while in the bathroom as a clean place to set your menstrual cup or sea sponge when needed or to set your cup or sponge on to dry after sterilizing it. They are small enough to fit in your pocket for when you are out and about too. They have your preferred topper, a flannel core and a quality fleece back, like my pads.